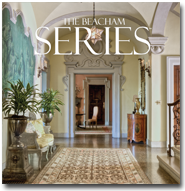 The Beacham Series showcases the finest homes for sale in Highlands and Atlanta real estate. This award-winning publication is delivered to more than 20,000 affluent households in Highlands, Cashiers and Atlanta, as well as more than 1,500 luxury real estate brokerages in 63 countries. To order a current or back issue of the magazine or view the magazine online, visit The Beacham Series website by clicking here. Beacham & Company, Realtors is an independently owned residential real estate brokerage company that specializes in luxury real estate. The firm was founded by Glennis Beacham, one of the top selling agents in the Southeast. Some of the areas of Highlands real estate and Cashiers real estate that Beacham & Company service the country club communities of Highlands Country Club, Cullasaja Country Club, High Hampton Golf Club, Highlands Falls Country Club, Mountain Top Lake and Country Club, Old Edwards Club at Highland Cove, Trillium Golf and Country Club, and Wildcat Cliffs Country Club. Beacham & Company also sells homes in these neighborhoods and areas of Highlands and Cashiers: Bear Lake Reserve, Cowee Ridge, Horse Cove, Cedar Creek Woods, Dog Mountain, Downtown Highlands, Flat Mountain, Holt Knob, Lake Glenville, Laurel Knob, Lonesome Valley, Mirror Lake, Mountain Laurel, Whiteside Cove, and Wildwood.